First off, FTC supports increasing mobility for Los Angeles. We support encouraging alternatives to motor vehicles. We support improved air quality. Why then not support MP2035? It is because MP2035 is not a mobility plan – it is a plan designed to create immobility while enabling increased development and density. MP2035 exposes itself as a false “mobility” plan from the start. It states point blank that reducing traffic congestion is not its goal. For the vast, vast, vast majority of us in this City, being stuck in traffic is the precise opposite of mobility. And that is what this plan promises to do – stick us in more traffic. 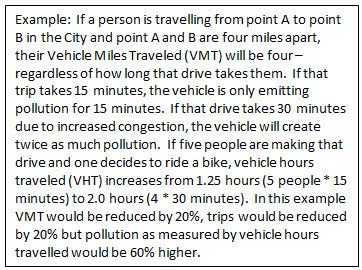 In fact, this so-called mobility plan states (and in fact relies on the fact) that it will increase traffic congestion by, among other things, removing traffic lanes used by cars for buses and bikes. Far from trying to reduce traffic congestion, the (mostly unstated) theory is that if traffic congestion becomes SO unbearable (even more than it already is) it will magically force people to take other forms of transit – whether they currently exist or not, are convenient or not or are economical or not. Removing traffic lanes for the overwhelming bulk of traffic (see US Census chart at the bottom) decreases the capacity of the street. This not only creates longer commutes, but also forces drivers to seek alternative routes which, according to MP2035, will be right through residential neighborhoods. According to the LA Times, then-Council member Dennis Zine said “he would not have voted for the cuts [to the fire department] if he knew the department was getting to emergencies in less than five minutes only 64% of the time, a figure lower than the 90% goal set by the National Fire Protection Assn.” No such out for current councilmembers who voted yes on MP2035. Instead of doing what it takes to improve response times, the Council has approved a plan that admits it will harm response times. To Fix The City, this is simply unacceptable. Even more unacceptable is that certain council members hailed the plan as improving safety when the text of the plan and the plan’s analysis yields the opposite conclusion. How? To combat troublesome neighborhoods from raising concerns about local impacts and the livability of their neighborhoods, the State legislature passed several laws granting expedited review or exemption from certain review for projects near transit (oddly just like the transit proposed by MP2035). The recent Council vote on MP2035 had Council Members Koretz and Cedillo asking for modifications of the plan in their areas. In theory, those council members were elected by their constituents to represent them and their interests. It is expected that council members will have the ability to impact policy in their own districts.